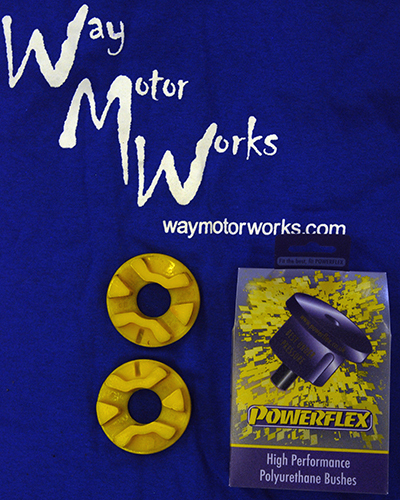 Powerflex Upper Engine Mount Polyurethane Bushing insert. This insert is fits 02-early 04 MINI and MINI Cooper S R50 R52 R53. It simply slides into the gaps in the stock rubber bushing, steadying the engine and keeping it from rocking so much under acceleration and braking. Also available is the powerflex bushing replacement for the small end of the upper bracket.